Three explosions struck the capital of Belgium on March 22. According to CNN, the Brussels attacks have reportedly left more than 30 people dead and many more wounded. The three explosions took place in two transportation centers. 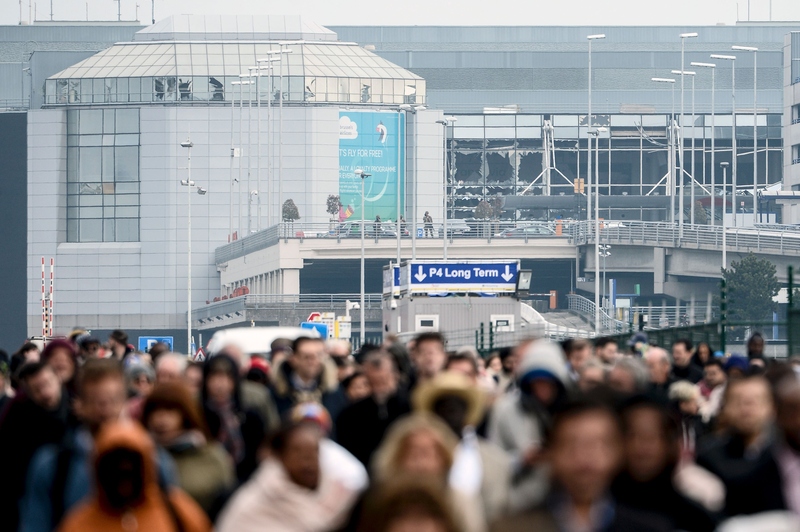 Two of the explosions in the Brussels attacks occurred at Zaventem Airport, while the third happened at the Maalbeek (also spelled "Maelbeek") subway station, which is just a short walk from where the European Union headquarters and its offices are located. TIME reports that the airport attacks occurred at 8 a.m. local time, with one going through the departure hall and the second occurring elsewhere in the building. The Independent notes that the second airport explosion in the Brussels attacks happened just minutes after the first. The metro station blast reportedly took place at around 9:10 a.m.
As result of the attacks, all of the city's buses and rails have been shut down, and the entire Metro system has been immobilized while officials deal with the tragedy. Belgium's terror alert has been raised to the highest possible level. Below is a graphic of the locations in Brussels that were attacked, as well as the Brussels suburb of Molenbeek, which CNBC reports is considered a hub of Islamic extremism. This additional graphic also illustrates the locations of the incidents.